Over the weekend 28 – 30 September 2018 students arrived at Wiltshire ACFs Cadet Training Centre in Tilshead to commence an assessment weekend in fieldcraft at 4 Star level. Top cadets from counties including Wiltshire, Somerset, Devon and Bristol were briefed on arrival that the event would be one of the toughest they would attend, both mentally and physically. Soon after orders were delivered, cadets patrolled in full kit and equipment to set up defensive positions within Fox Farm at CDV. After some refresher training in Training in Built Up Areas (TIBUA), Orders and Section Battle Drills the cadets were then rotated through a sequence of challenging assessment serials. Those under scrutiny were being assessed in their roles as a Section Commander and Section 2IC. Assessment serials included defensive operations, house clearances, deliberate attacks, framework patrols and vital administration in the field. 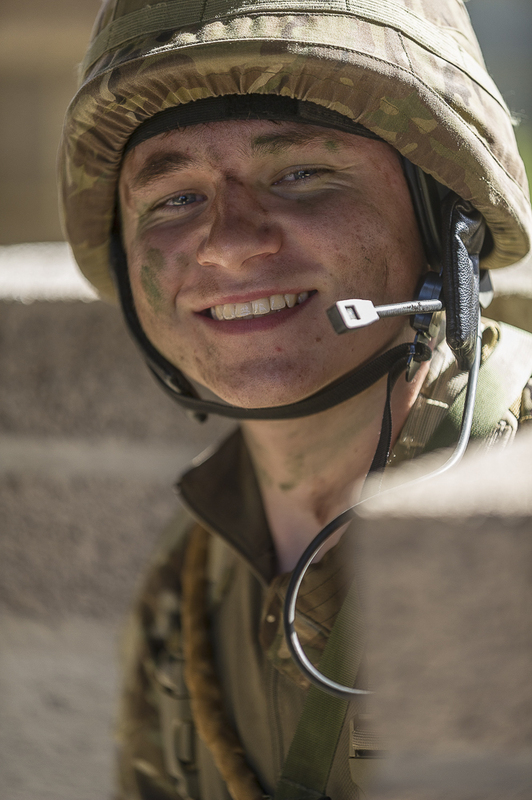 “I briefed the cadets at the start of the event that the art of leadership in the field is more intense than any other environment they will experience” said Major Peter White, Wiltshire ACF’s County Training Officer. “Their ability to lead others in a challenging environment was evident. I hope that these enhanced skills will enable them to serve to lead those cadets under their command to the highest standards moving forward within the ACF”. All serials were conducted to an extremely high standard in a demanding environment and mentally tough conditions. The cadets were challenged regarding their own personal bearing and leadership skills which in turn assisted in ensuring that the cadets under their command always came first!